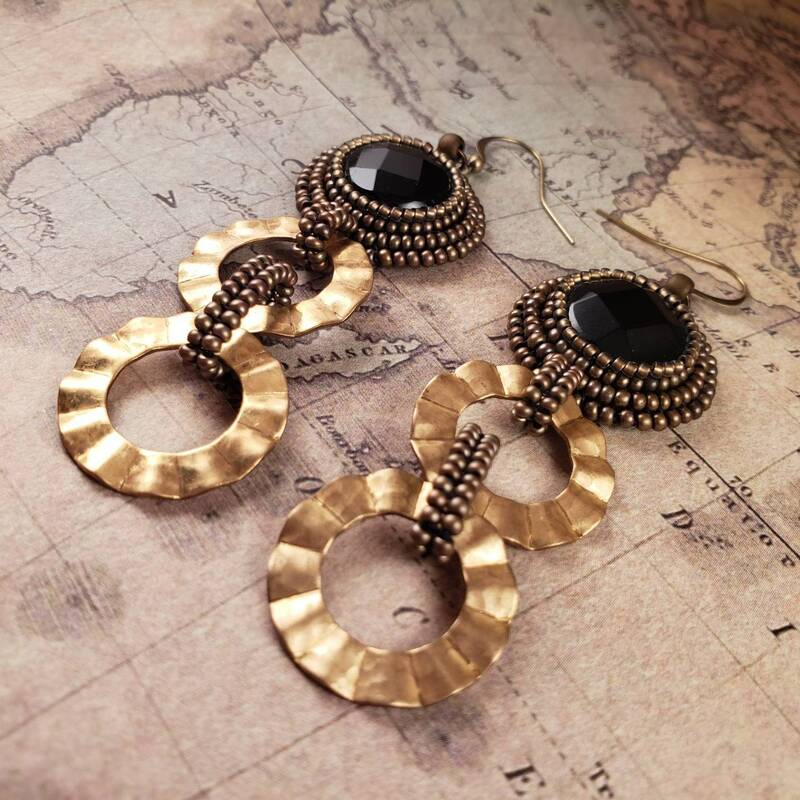 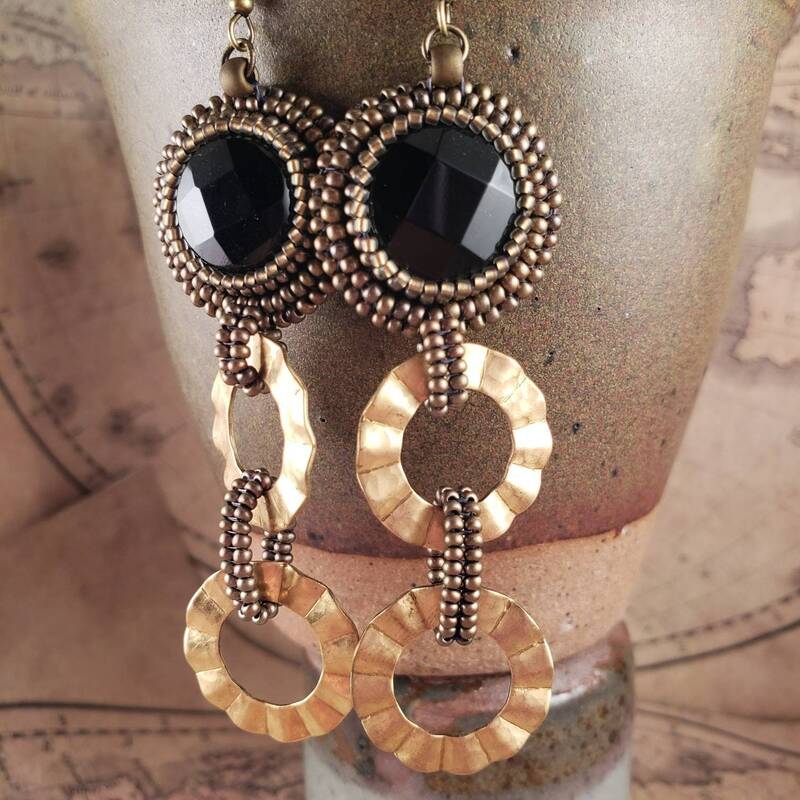 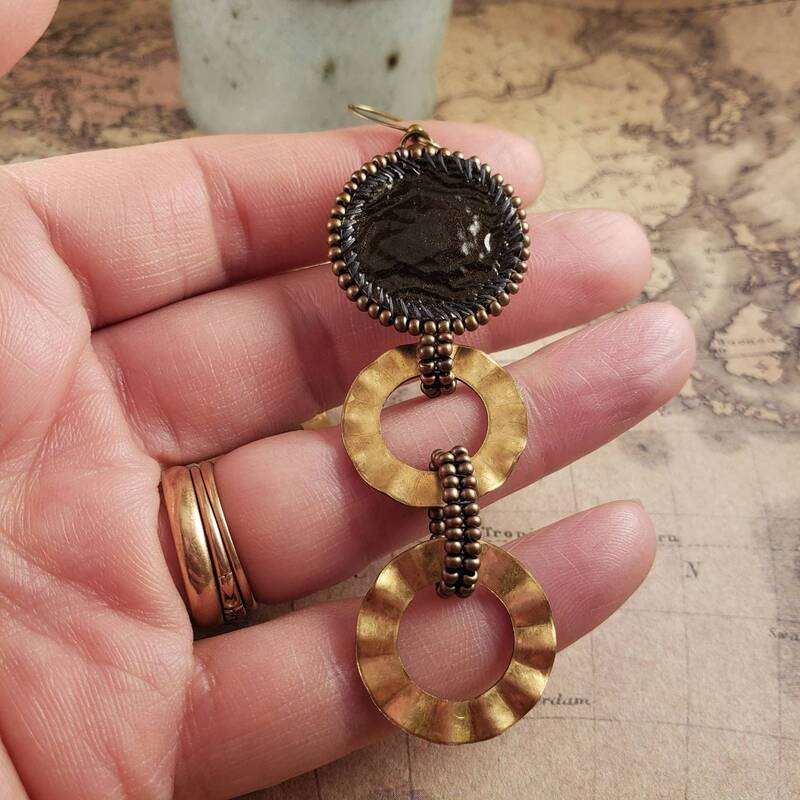 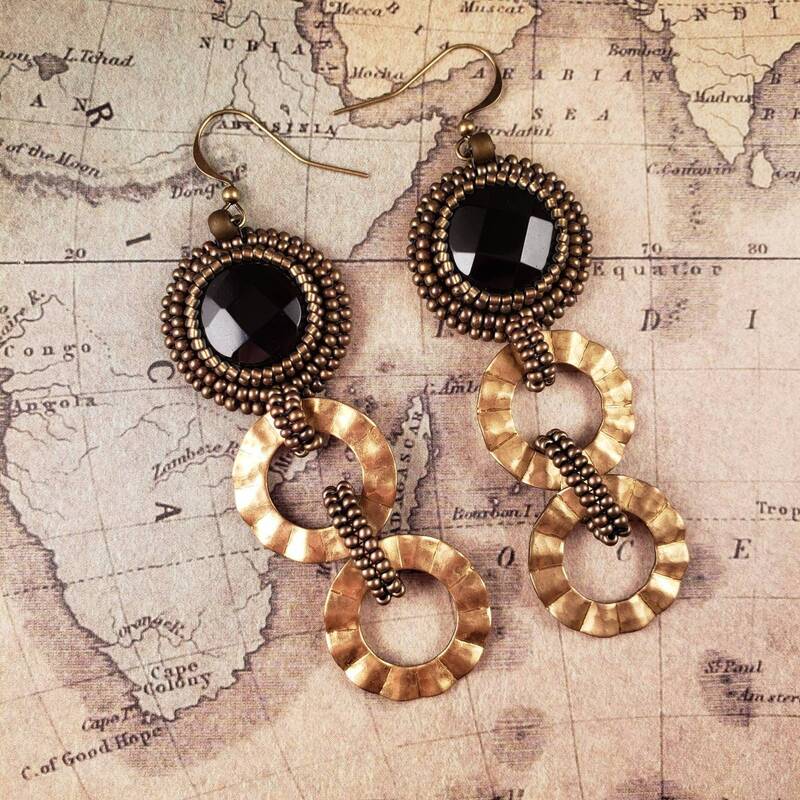 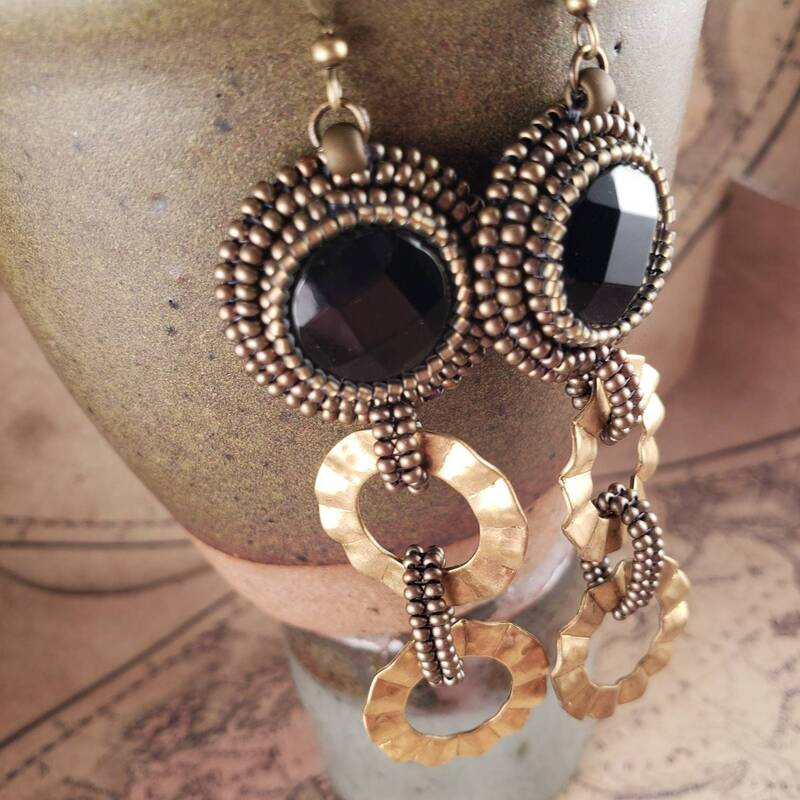 Fabulous light weight black onyx and brass long earrings. 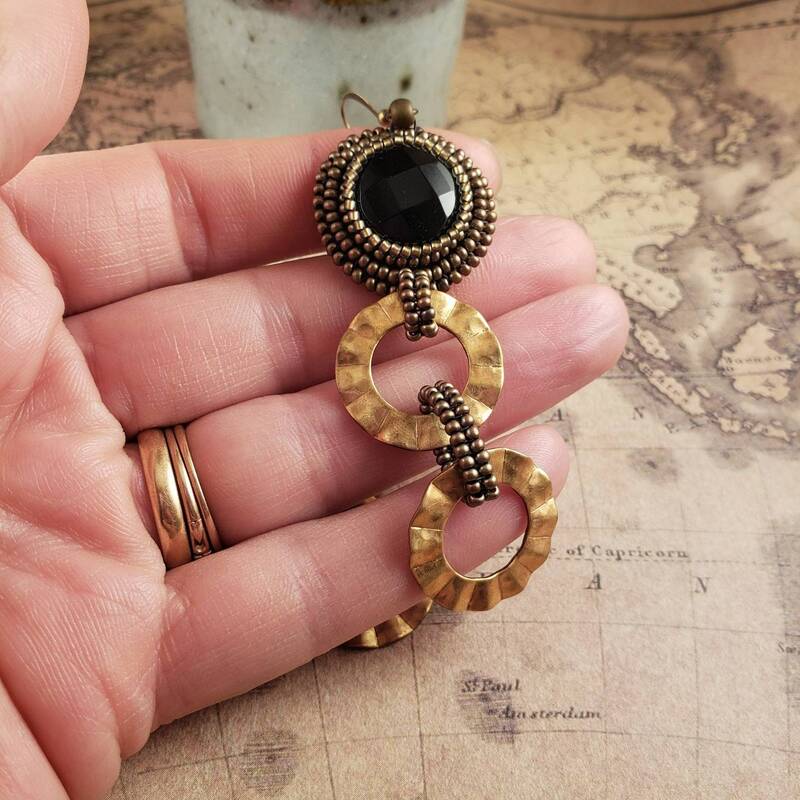 Bead embroidered with Czech glass brass colored seed beads. 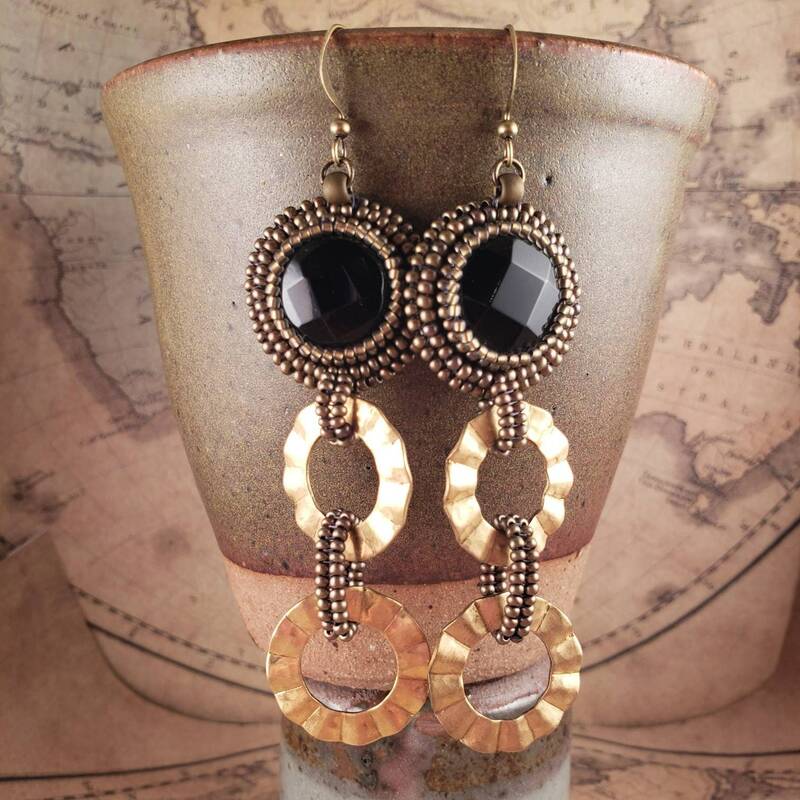 These onyx gemstones are faceted to give a slight light reflecting sparkle. 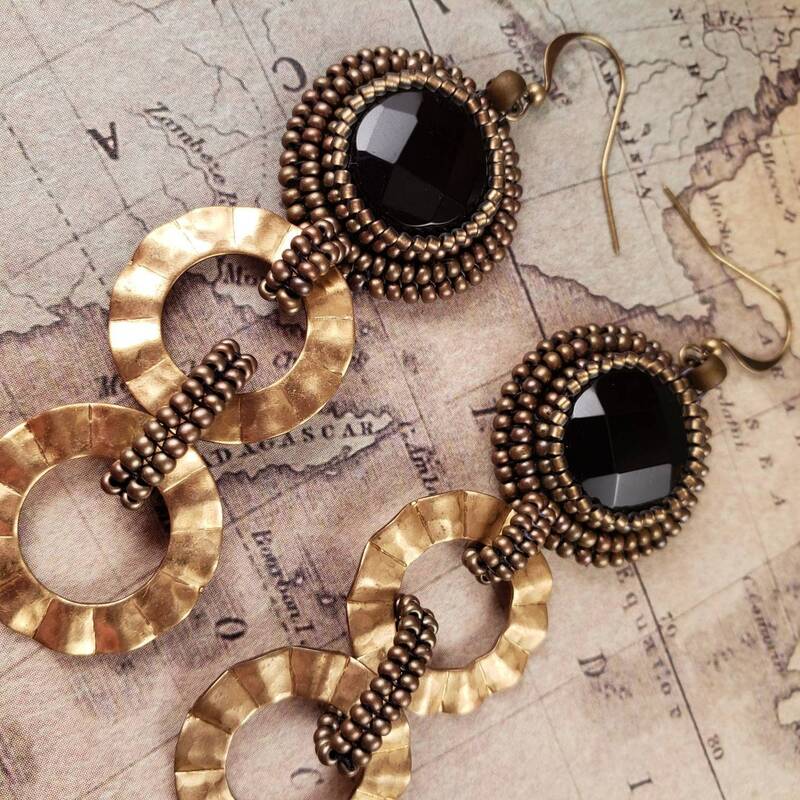 These are great summer earrings with safari style inspiration.